Day in the Life: Awkwardness in a Public Restroom. » thereafterish. Day in the Life: Awkwardness in a Public Restroom. » thereafterish. Day in the Life: Awkwardness in a Public Restroom. I already feel weird going to the bathroom with other people nearby, but this experience took the cake. 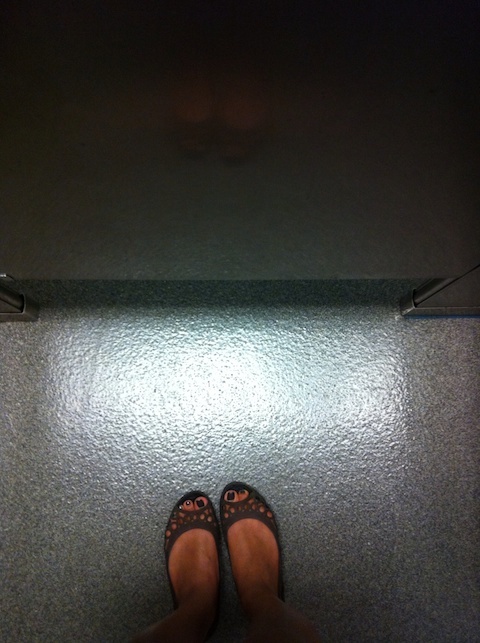 Restless feet: Awkward bathroom experience in a Costco restroom. The most awkward bathroom experience in a public restroom in the history of ever. I’ve been on a kick to drink more glasses of water per day, in an effort to be more healthy and have better skin. Consequently, I find myself having to piss pretty frequently. And when the need hits, I gotta go, ‘cuz I gotta go, know what I mean? At Costco this afternoon, the need hit hard while I was refilling prescriptions for my arthritis meds and monthly contraception. I rushed immediately to the women’s loos to let it out. Midstream, I hear grunting in the next stall over. Pause. My pee stops. Um…? The lady starts moaning and grunting. I hear shifting. More loud moaning. Is she having a particularly satisfying number two? A simply good pee? I hear no evidence of anything going into the toilet, no noises of anything hitting water, only inappropriate noises emanating from my toilet neighbor. 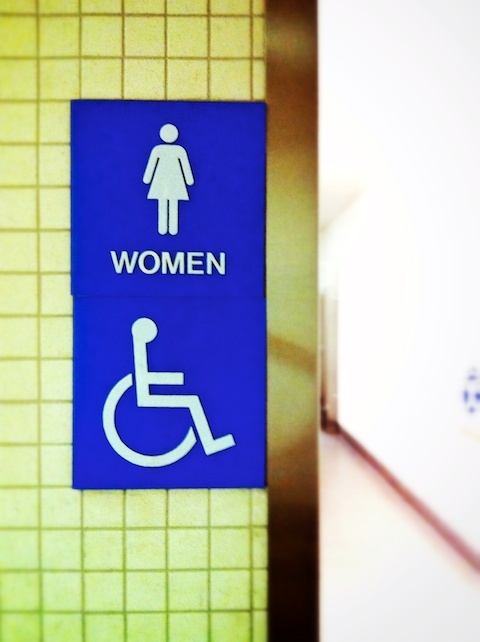 I force my piss out as fast as I can and wash my hands, uncomfortable as hell, while the moans, oohing and low grunting continues from the stall next door. I speed through the hand dryer, frantically shooting glances over my shoulder, half expecting the woman to fall out of the stall. The bathroom exit feels yards away. My hands are still damp as I speed-walk the heck out of there. I still have no idea if she was experiencing discomfort or if she was getting herself off. Talk about awkward toilet experiences. I may never feel the same about that Costco restroom.